Delicious and sweet Ice creams can be very bitter for those who have been following the diet plans for ages and one day to satisfy their sweet tooth go to an ice cream parlor and intake loads of calories, thus spoiling the effort of weeks and, for those too who are health conscious. Ice creams are too old decade. Like the trends in fashion have been changing, there is also a change in eating trends. So ice creams are out and frozen yogurts are in! Everyone’s favorite new thing is frozen yogurt these days. It’s just as delicious, but even more healthy. It’s the health and diet diva’s favorite treat: lower in fat, a boost for your immune system, and it helps lower cholesterol. 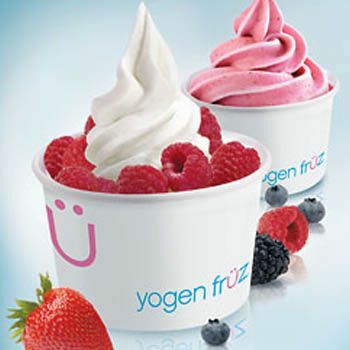 Frozen yogurt is a treat you turn to all summer long to keep your diet in control and your sweet tooth satisfied. But you know what they say about having too much of a good thing. Moderation is key in everything, and this holds true for your favorite diet-friendly snack. Certain flavors, toppings, and portions can make your healthy treat unhealthy. Here are some dos and don’ts of the delicious and yummy frozen yogurts. It’s easy to get overwhelmed by all the options and those huge cups. But large servings can be your undoings so do avoid them. Your ideal serving of frozen yogurt should be 4 to 5 ounces, max. But, surprise, the cups available to you are typically able to hold up to four times that amount. That’s four times the calories and the sugar. Try to keep it at one and a half swirls to satisfy your sweet tooth while staying on your healthy diet. To keep yogurt calories under control, instead of going to the yogurt section first, go to the topping section and fill your cup with fresh fruits and berries! DON’T go to the yogurt section first. Choosing the right type of yogurt and decorate the top of your pile with the right toppings. Fruits are the best part of frozen yogurts unlike ice creams. For the best, go for berries. The skin of the berries make up most of the surface area, therefore offering you more fiber which will satisfy you better than fruits doused in sugary syrups. Also, dried fruit has a lot more calories as opposed to fresh fruit. Do not go near the candies section if you want healthy frozen yogurt. And if you do not have the power to resist candies, just sprinkle one or two chocolate chip on the top of your yogurt. Its much smaller and little beneficial than candies. A cookie crumble on the top of your yogurt is definitely a don’t for your healthy frozen yogurt. If you love cookie crumbles sprinkled on top of your yogurt which, in all reality, will only cost you about 30-50 calories depending on your definition of “sprinkle”. However, if you are looking to replace the fats in cookies with some healthier fats, opt for sliced almonds or any other kind of nuts which will provide you with good nutrients and some added crunch to your snack. Topping your yogurt with Syrups is NOT AN OPTION if you want a healthy yogurt. Sure, the vanilla-tart-coffee-chocolate-fudge combo sounded like a good idea, but you’ll actually feel less satisfied. Our taste buds get exhausted and overwhelmed by all the different flavors and in the end you’ll just feel overwhelmed and want more of everything. Try sticking to one flavor of yogurt and one topping. So always keep a check on the do’s and don’ts next time you visit places like Tutti Fruity or Mrs. Fields café!! This summer, beat the heat with frozen yogurts.